According to Benjamin Franklin, "Nothing can be said to be certain, except death and taxes". Fortunately, Shedul has covered all the tough tax calculations for you. 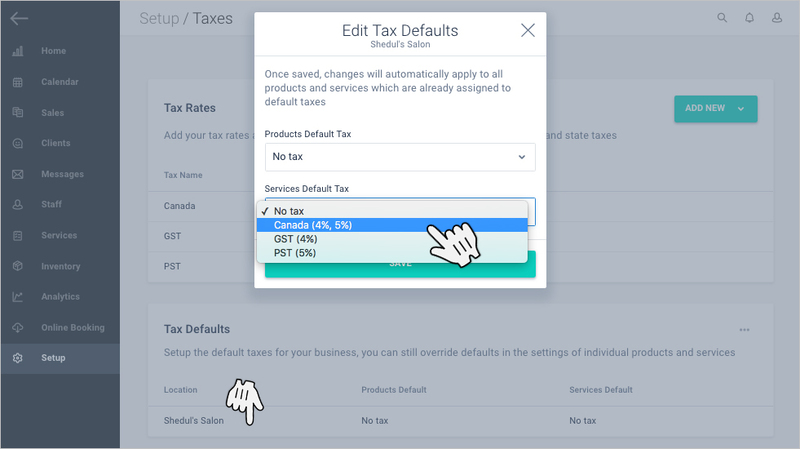 Every country and state has its own requirements for recording taxes, and Shedul will automatically calculate the tax contribution for each invoice raised, based on your personal settings. The final step is to Apply defaults to all items. 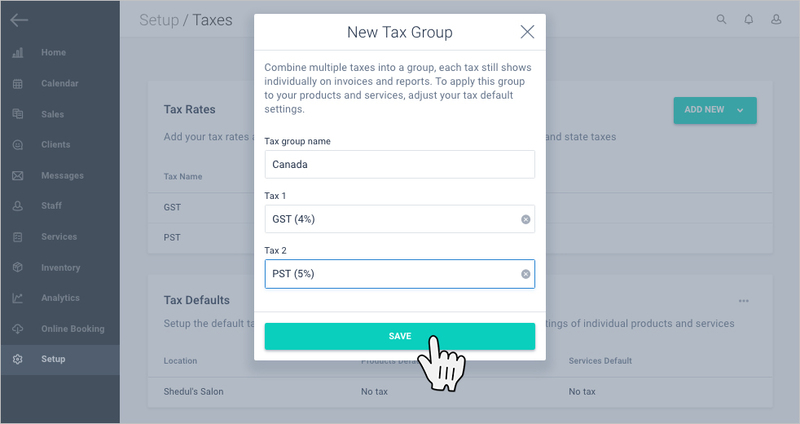 This will automatically calculate taxes that are made for each of your Products and Services. 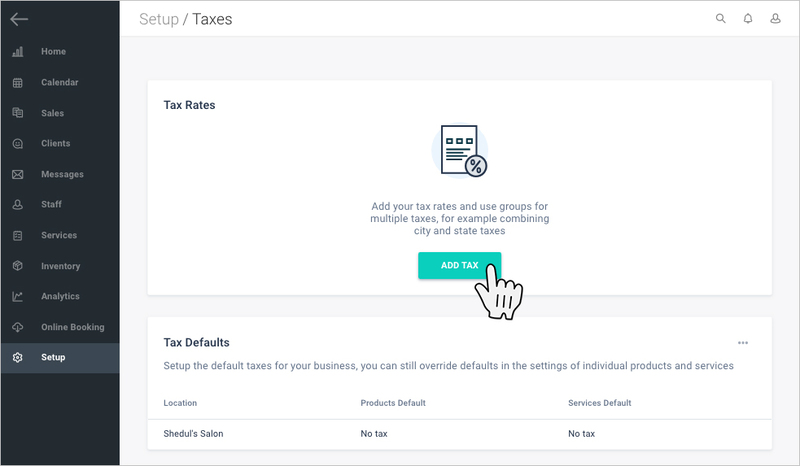 TIP: In case you sell certain tax-exempt products and/or services, you can adjust or remove the tax rates for these individual offerings through the Inventory and Services tabs. NOTE: Once taxes are applied, they'll be calculated on all newly created invoices, and will not be applied retroactively. TIP: Tax Group names are for your reference only, and will not display on invoices. However, each of the constituent taxes will display individually. One important thing to check before issuing tax invoices is to make sure your taxes are being applied correctly. 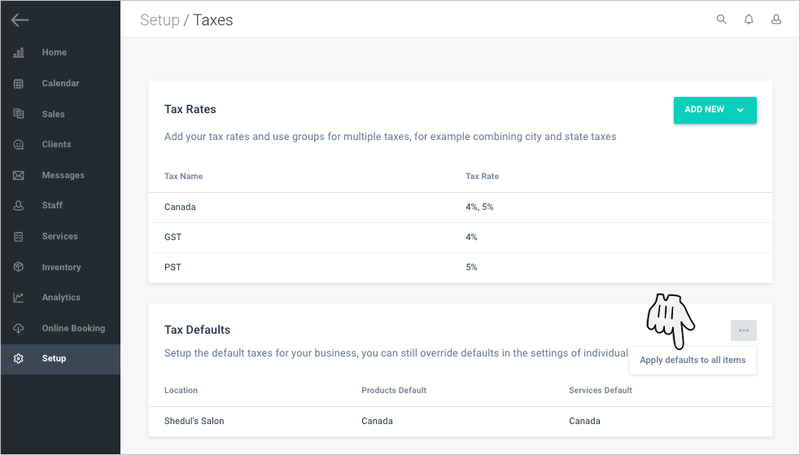 For example, in the United States, taxes are typically calculated on top of sales (taxes exclusive), whereas in many other countries, taxes are included in the sales price (tax inclusive). And voila! 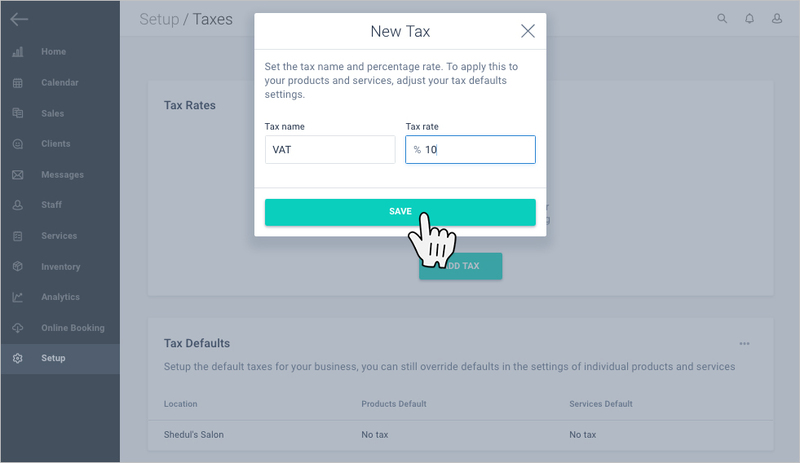 Your taxes will now be calculated automatically with every subsequent invoice that you generate.